Grahams dam is a built up part of the Lerderderg river in the Lerderderg national park. Walking from Mackenzies Flat car park takes 20-30 minutes, the walk itself is easy. The path is flat most of the way and you get to cross the river twice, which adds a bit of a thrill if the water is flowing. You also get good views on the towering valleys and the river below. Grahams dam a major built up part of the river, its crystal clear water will range from knee deep to chest deep depending on the season. The location is also equipped with a sandy beach. 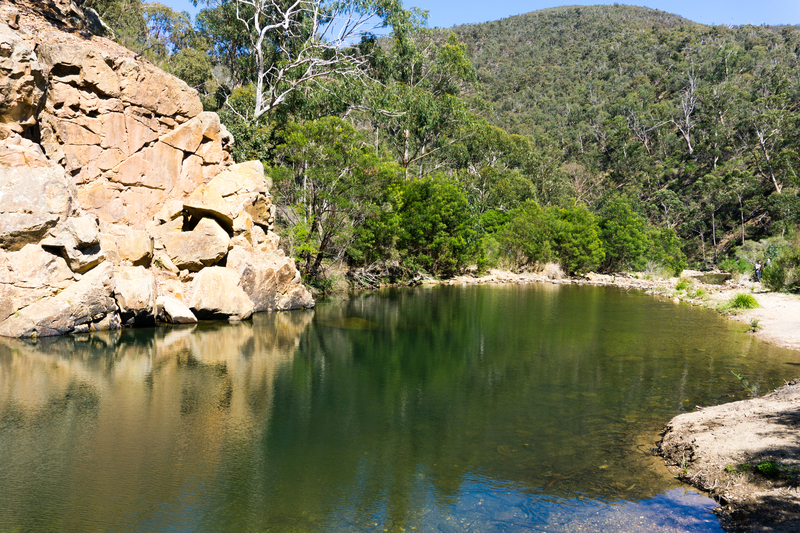 Grahams dam appears to be a lovely spot for a dip due to its structure… Not deep, clear water and stony bottom. Plus its a nice stroll and easy to access.